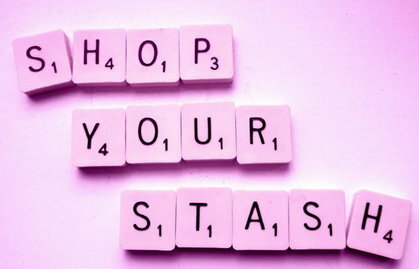 Welcome to the second post in the Shop my Stash challenge! Over the past few weeks especially during Shop My Wardrobe for Lent I have been trying to sort out of my wardrobe. Since moving in 7 months ago I haven't had a chance to sort out my clothes, shoes, accessories until now! Primark but within months all but one had snapped in half. Here is how it looks after I used the hangers. I'm trying to group items together and even colour coordinate, its still a work in progress! I hope that I can keep my jeans nice and tidy! The second wardrobe is still a work in progress! The best thing about sorting out my wardrobe is finding lots of items that I haven't worn for a long time or not worn yet. Even after finding stuff for the shop my wardrobe for Lent challenge I am still finding clothes! Oh, yeah! I switched to these hangers a few years ago and it makes a world of difference, as you can see. Beautious!